Based in the Sierra de Alcarama, in the UNESCO Biosphere Reserve, is the Finca Señorío de Rioja, which will start with the cherry campaign in a few weeks. "The development of the cherry trees has now stopped because of the cold recorded in recent days. The low temperatures will probably regulate the growth, although no producer knows for sure," says Raúl Sanz. "Apricots are perhaps the crop that has been most affected by the frosts of early April; its production will be reduced," he said. 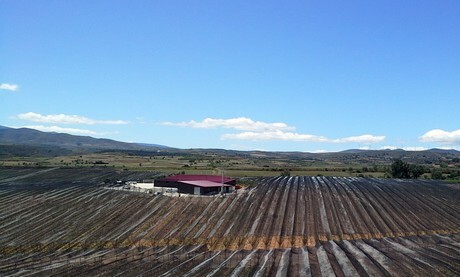 The lands owned by Raúl Sanz are located in a privileged environment, 800 meters above sea level. They haven't been too exploited and their waters are pure, without pollution. "The temperature contrasts between night and day are very significant during all four seasons. These conditions are ideal for a high quality mountain crop, with a unique flavor, color and aroma," explains the producer. 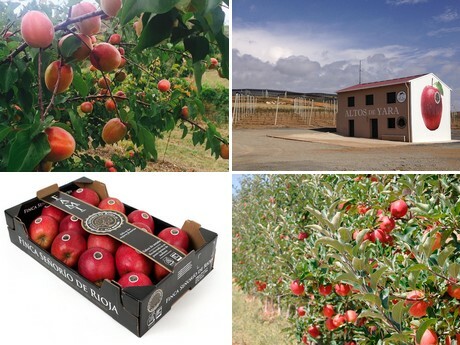 "Our flagship mountain apples are Fuji, Royal Gala Venus and Golden Rosé. They turn any child into an apple addict," says Raúl Sanz. 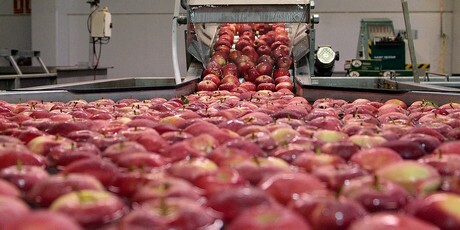 Its already renowned conventional apples now also have the organic seal Raulito. "In a few years, probably everything will be organic. We already have crops in both organic and integrated agriculture," says Raúl Sanz. Two years ago, they expanded their farm from 80 to 130 hectares, and invested in logistics, warehouses and controlled atmosphere chambers, with 3.5 million in a cold chamber. This allows them to supply products of their own cultivation throughout the year and to meet the constant demand from their customers. Fifteen days before the apple campaign comes to a close, all volumes have already been sold, despite the fact that these apples are the most expensive in the domestic market. Outside of Spain, they are exported mainly to northern Italy, Denmark and Norway. In addition to the apples, the farm also produces cherries, apricots, Claudia plums, tomatoes, pears and asparagus. "At this time, we are finishing the La Ribera asparagus campaign with sizes 26 or higher, which are sold in 2 kilo boxes. This gourmet product is achieving great success in the market," says the manager of Finca Señorío de Rioja. They will then start the cherry campaign with seven varieties, which will allow them to supply the market for a month and a half, harvesting one variety per week. The Prime Giant cherry, ideal for high mountain farming, is the most demanded. A selective thinning of around 50% of the buds is the key to obtain an optimum caliber, firmness and flavor. 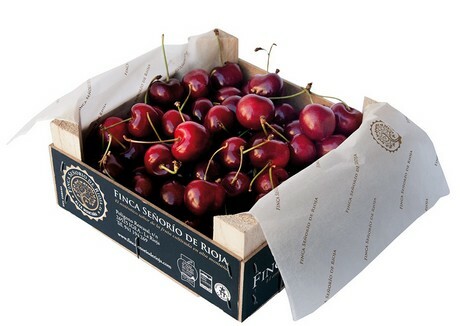 "Our cherries are exported to France, Italy, Hong Kong, Singapore, Malaysia, Norway, Finland, Denmark and the Netherlands. And this campaign, there may also be some demand from South America," says Raúl Sanz. Another product with a rising demand is the Claudia plum, with a honey-like sweetness and a high Brix. 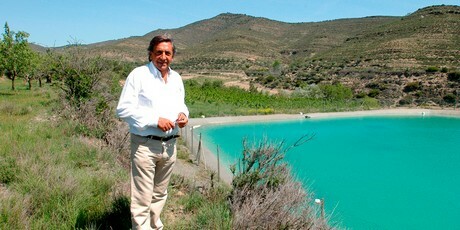 Raúl Sanz and his wife Laura Sáez founded the company 12 years ago. "My goal was to bring back the flavor of the fruit of yesteryear and make sure I had something enjoyable to do after my retirement," says Raul Sanz. Today, the firm has more than 100 employees and its gourmet products are exported to Hong Kong, Singapore, Malaysia, Norway, Finland, Denmark, the Netherlands, France and Italy. In the domestic market, their Fuji and Golden Rosé apples are the most appreciated and are to be found on the shelves of large retail chains, including El Corte Inglés. In 2018, the European Economic and Competitiveness Association awarded the Gold Medal to Raúl Sanz for his Merit at Work.